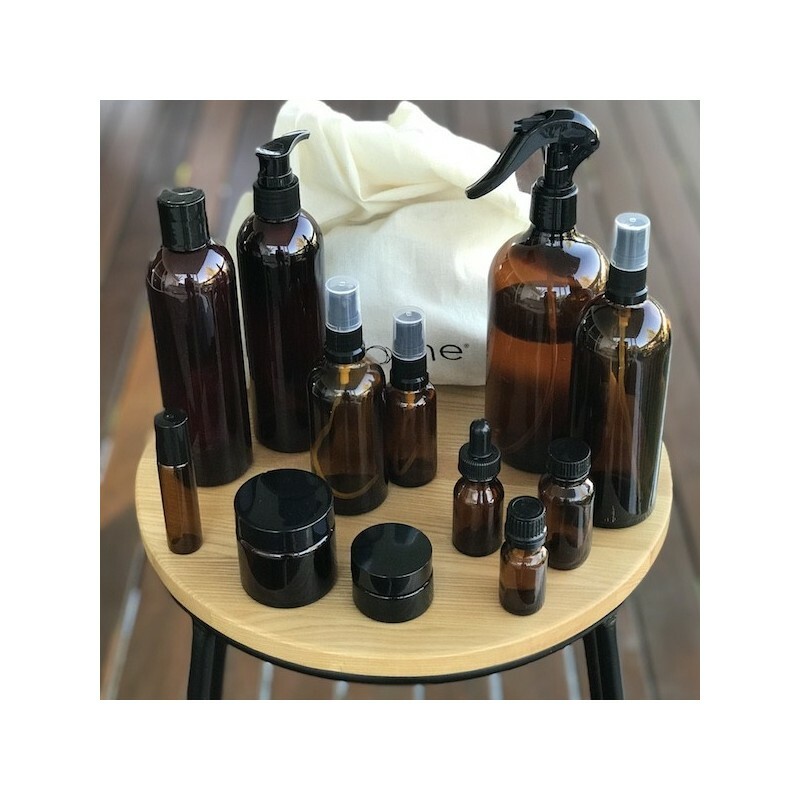 A set of reusable plastic and glass bottles and jars for the ultimate DIY skincare set. Creating your own skincare products is simple and economical. 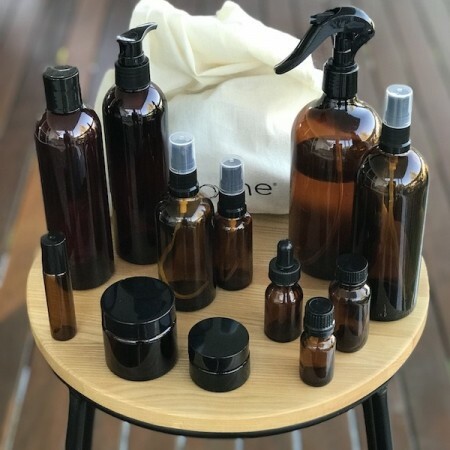 This set of containers will allow you to make your own version of a variety of self care products, so you know exactly what you are putting on your skin. Browse our DIY section for popular recipes or make up your own! 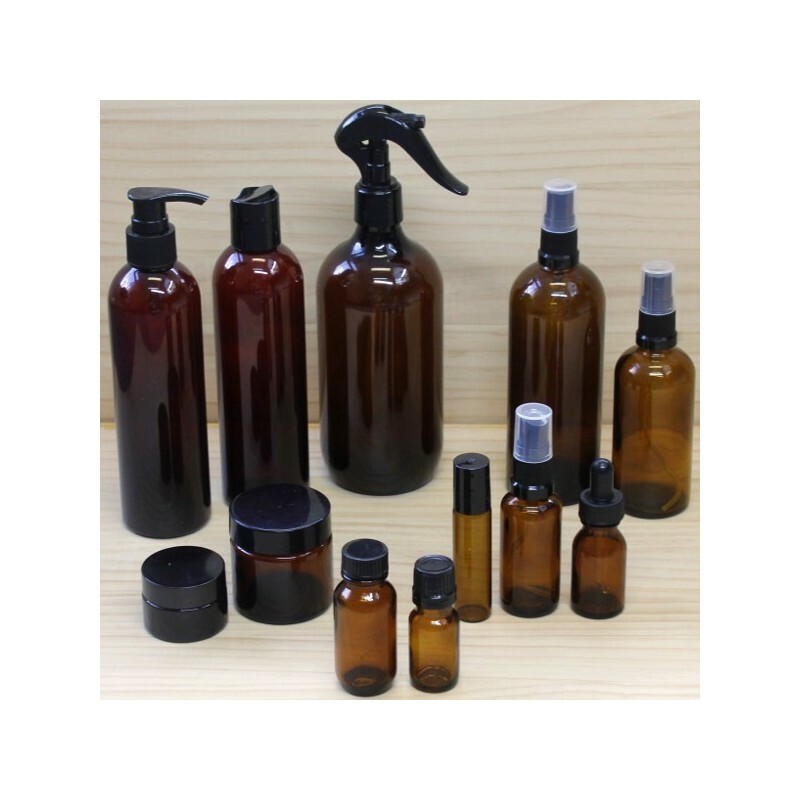 500ml amber PET bottle with trigger spray. 250ml amber PET lotion pump bottle. 250ml amber PET disc cap bottle. 200ml glass amber bottle with sprayer. 100ml glass amber bottle with atomiser. 30ml glass amber bottle with atomiser. 15ml amber glass with black dropper. 25ml amber glass with screw cap. 10ml amber glass bottle with dripolater. 50ml round amber glass jar with screw lid. 15ml round amber glass jar with screw lid. 10ml amber glass roll on bottle. This selection of containers will allow you to whip up a variety of homemade products, that are safe, effective and zero waste. Click through for our favourite shampoo, hair conditioning spray, body mist and toothpaste recipes or browse our full list of DIY recipes here. This starter kit comes in a reusable organic cotton laundry/wash bag.